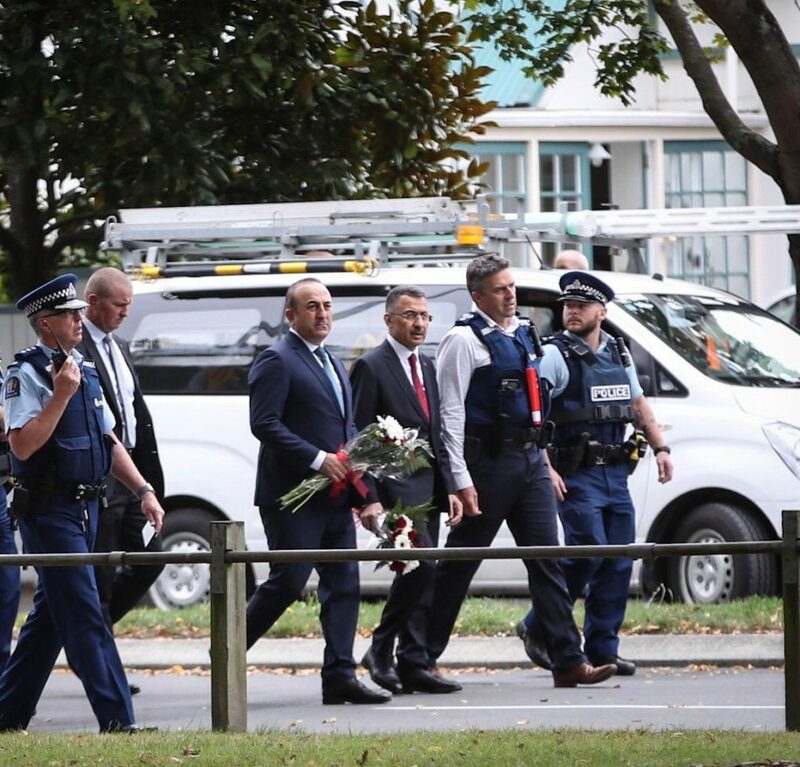 He also said that Turkey was wrong to have abolished the death penalty 15 years ago, and added that New Zealand should make legal arrangements so that the Christchurch terrorist could face capital punishment. „If the New Zealand parliament doesn’t make this decision I will continue to argue this with them constantly. The necessary action needs to be taken,“ he said. Yair Netanyahu’s „him“ in above quoted tweet refers to Erdoğan. Netanyahu’s tweet was written on March 13, one day before Tarrant’s manifesto was published. 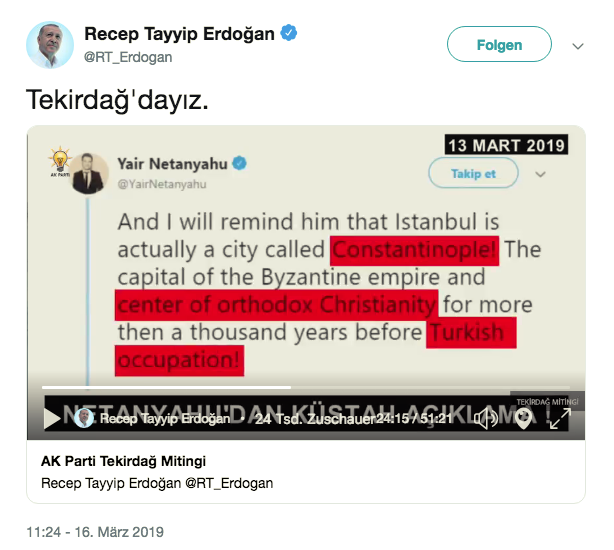 Yair Netanyahu made his remarks about „Constantinople!“ in response to a tweet of his father Benjamin who smeared Erdoğan on Twitter. There is a common language used by both Netanyahu and terrorist Tarrant. „They are testing us from 16,500 km away, from New Zealand, with the messages they are giving from there. This isn’t an individual act, this is organised. We have been here for 1,000 years and will be here until the apocalypse, God willing,“ Erdoğan told the rally commemorating the 1915 Battle of Çanakkale, when Ottoman soldiers defeated British-led forces including Australian and New Zealand troops trying to seize the peninsula, a gateway to İstanbul. 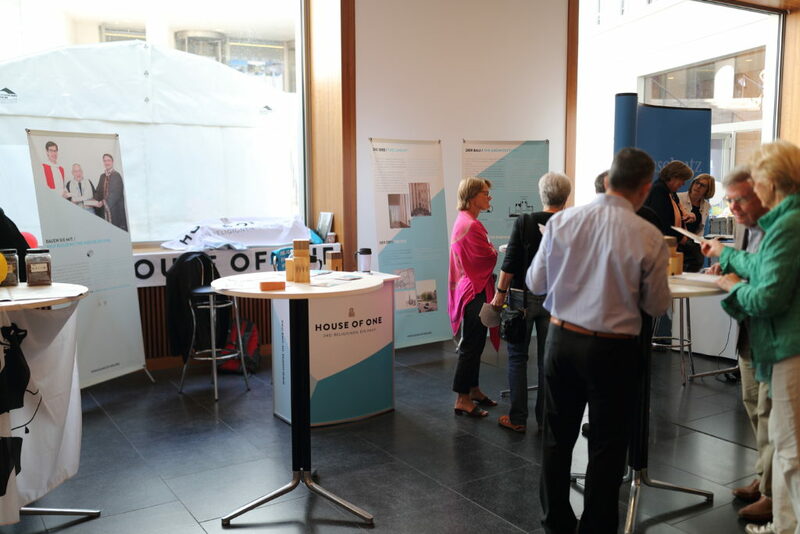 Germany’s Federal Ministry of the Interior, Building and Community hosted the House of One during the open day from 25 until 26 August 2018. The House of One says that it is „the world’s first shared house of prayer for Jews, Christians and Muslims“. Forum Dialog, formally known as Forum für Interkulturellen Dialog, is a founder of the House of One. Forum Dialog says it is inspired by the „Fethullah Gülen movement“. The „Fethullah Gülen movement“ is classified as a terrorist organization in Turkey under the assigned names Gülenist Terror Organisation (Fethullahçı Terör Örgütü; abbreviation: FETÖ) and Parallel State Structure (Paralel Devlet Yapılanması; abbreviation: PDY). Ö. Date: 26 August 2018. Place: Federal Ministry of the Interior, Building and Community, Alt-Moabit 140, 10557 Berlin, Germany. All rights of reserved. Beside The House of One, I saw the Federal Office for Migration and Refugees, the Federal Criminal Police Office and Germany’s Intelligence Agency „BFV“ having information booths at the Federal Ministry of the Interior, Building and Community during the open day. Only the Federal Government and its ministries with their departments, units and funding projects are permitted to present themselves at the open day. I saw Dr. Markus Kerber, State Secretary at the Federal Ministry of the Interior, Building and Community, passing by the information booth of the House of One. 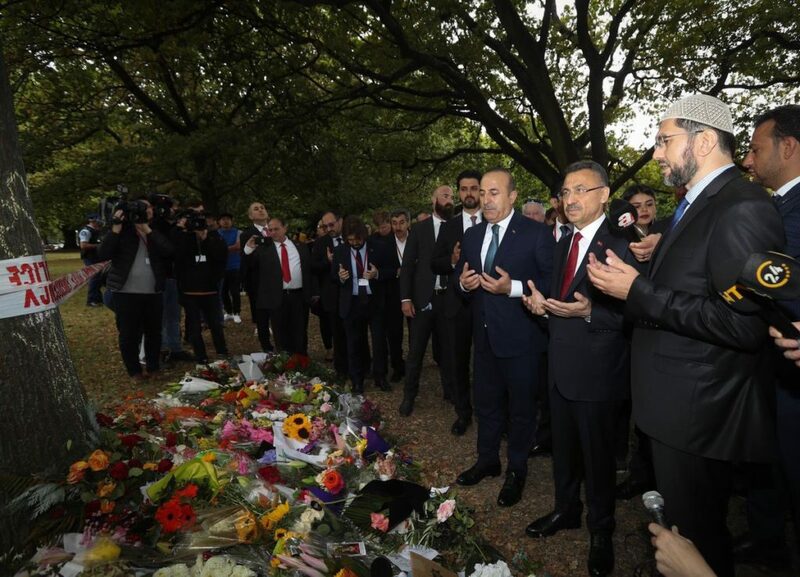 Secretary Kerber is responsible for the organization of the German Islam Conference (Alman İslam Konferansı) in November 2018. I wanted to ask Secretary Kerber why the German government is hosting a project with supposed ties to the FETÖ terrorist organization but Secretary Kerber did not approach to my request. His assistant told me that Secretary Kerber cannot talk to me. One moment later, a tall and muscular security guard came to me and told me to leave Secretary Kerber alone. Close to the information booth of the House of One, I met Thomas Haldenwang, the Vice President of Germany’s Intelligence Agency „BFV“. I asked Vice President Haldenwang why does the German government allows an organization with supposed ties to the FETÖ terrorist organization to present itself at the Federal Ministry of the Interior, Building and Community? Vice President Haldenwang told me that the „Gülen movement“ – as he called FETÖ – is not classified as a terrorist organization in Germany. According to Vice President Haldenwang, Germany’s Intelligence Agency „BFV“ does not monitor the „Gülen movement“ because it is no security threat to Germany. I told Vice President Haldenwang that Turkish judges convicted FETÖ members of being involved in the failed coup attempt and that the court hearings revealed evidences that FETÖ was behind the 15 July 2016 coup attempt. Vice President Haldenwang answered that judicial proceedings in Turkey are not reliable to him. He was questioning the independence of justice in Turkey. During the Three-day state visit of President Recep Tayyip Erdoğan to Germany, an advertising campaign was harassing the Turkish President. Alongside the route of his convoy, billboards display the face of President Erdoğan associated with the Nazi salute also known as the Hitler salute. The use of this salute „Sieg heil!“ („Hail victory!“) is prohibited by criminal law in Germany. This may be one reason why the billboard says „Zieg geil!“ instead of „Sieg heil!“. The main reason of using the „Zieg geil!“ may be its offensive nature. Translated into English „Zieg geil!“ means „Goat horny!“. Translated into Turkish it means „Keçi azgın“. „Zieg geil!“ is printed in Tannenberg Fett font. This typography was designed by Erich Meyer in 1933 when Adolf Hitler’s seizure of power took place. Hitler killed more than six million Jews. President Erdoğan rescued four million Syrians who are hosted as brothers and sisters by Turkey under his presidency. President Erdoğan also saved another three million Syrians in İdlib province by establishing a buffer zone. All in all, President Erdoğan rescued seven million Syrians and Hitler killed six millions Jews. This is just the biggest difference between President Erdoğan and Hitler. There are many more. By no means it is admissible to compare or to equalize Adolf Hitler and President Erdoğan. Hitler committed crimes against humanity and war crimes. President Erdoğan fights the war on terror as well as the war on racism and on discrimination and outlawing. Other billboards alongside the main boulevards of Berlin show President Erdoğan behind a no sign with a red colored circle-backslash symbol. This offensive billboard is slandering President Erdoğan by saying „Erdoğan not welcome“. The billboard also calls on people to join anti-Erdoğan rallies in Berlin on 28 September and in Cologne 29 September. The billboards which are harassing President Erdoğan are operated by Wall GmbH, an international advertising corporation based in Berlin. According to media reports, Hans Wall, the founder of Wall GmbH, is a member and donor of Germany’s far right anti-Muslims party AFD (Almanya için Alternatif). Wall GmbH has a subsidiary in Turkey: the Wall Anonim Şirket in İstanbul. Ömer Bilgiseven is the CEO of the Wall Anonim Şirket in İstanbul. 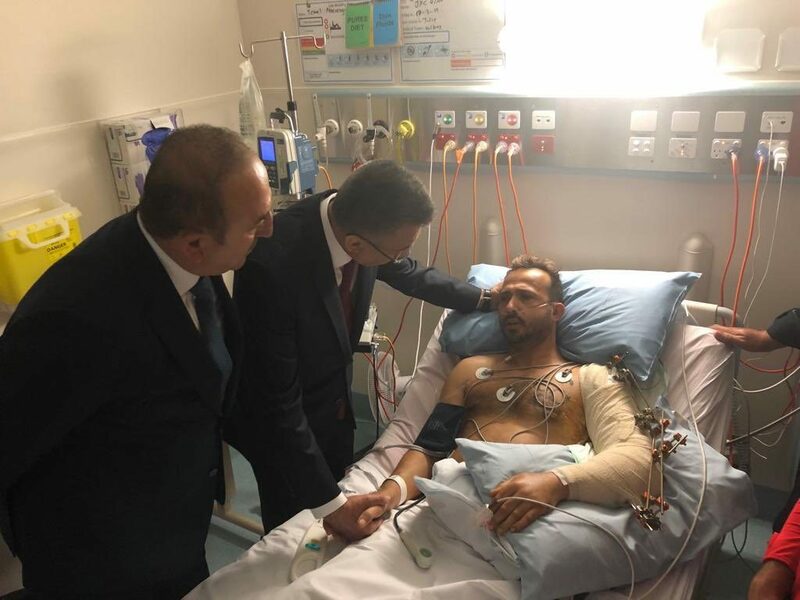 In February 2018 Mr Bilgiseven was arrested for blackmailing. A media report arouses suspicion that Mr Bilgiseven might have links to the FETÖ terror organisation (Fethullahçı Terör Örgütü). After this Tweet, I spoke to a law enforcement officer who is dealing with this criminal case. He told me that around 50 billboards slander President Erdoğan by displaying the posters. These billboards are now considered as crime scenes after I published my research at my social media channels. 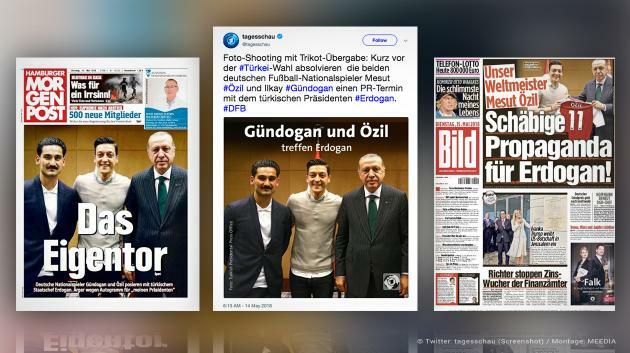 Seit zwei Monaten und zwei Wochen bestimmt das Treffen von Mesut Özil, İlkay Gündoğan, Cenk Tosun und Präsident Recep Tayyip Erdoğan die Schlagzeilen in Deutschland. Selbst eine ereignisreiche Fußball-Weltmeisterschaft in Russland mit vielen Toren und sportlichen Höhepunkten konnte das Treffen nicht aus den Nachrichten verdrängen. Unzählige Politiker, Prominente, Sportler, Funktionäre und Journalisten haben sich zu dem Treffen geäußert, unter ihnen sogar Deutschlands Bundespräsident Frank-Walter Steinmeier, Parlamentspräsident Wolfgang Schäuble und Bundeskanzlerin Angela Merkel, letztere äußerte sich sogar mehrmals dazu. Ziemlich wenig ist in all diesen Äußerungen jedoch über den Anlass und Inhalt des Treffens zu erfahren. Was also wurde über das Treffen als solches gesagt? „Zusammen mit Mesut, Cenk und weiteren Sportlern haben wir gestern Abend eine Veranstaltung einer türkischen Stiftung in London besucht. Wir finden es gut, dass es eine Stiftung gibt, die türkische Studenten im Ausland fördert und Ihnen damit eine internationale Karriere ermöglicht. Wir haben den türkischen Staatspräsidenten am Rande der Veranstaltung getroffen. Aus Rücksicht vor den derzeit schwierigen Beziehungen unserer beiden Länder haben wir darüber nicht über unsere sozialen Kanäle gepostet. Aber sollten wir uns gegenüber dem Präsidenten des Heimatlandes unserer Familien unhöflich verhalten? 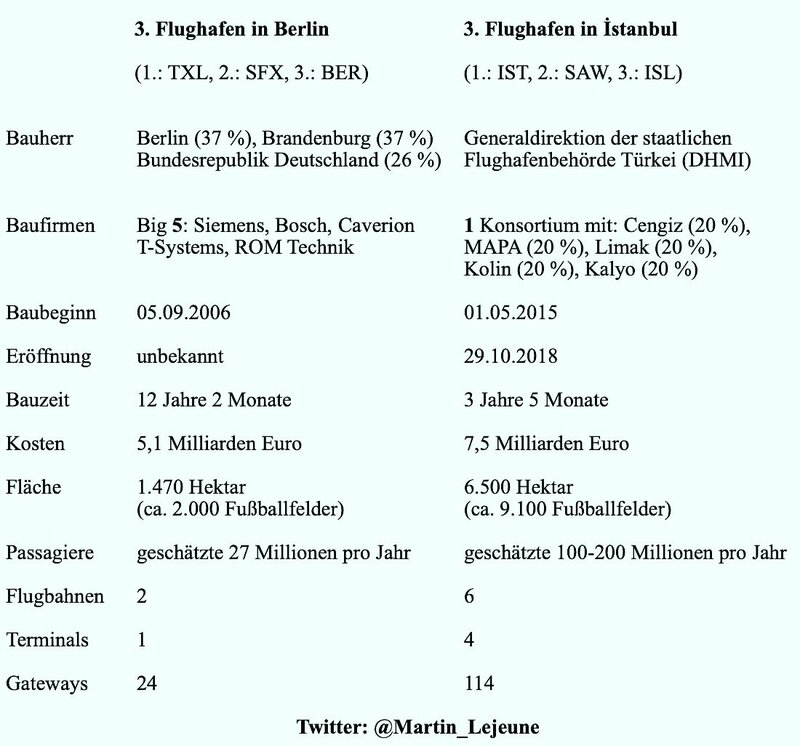 Bei aller berechtigten Kritik haben wir uns aus Respekt vor dem Amt des Präsidenten und unseren türkischen Wurzeln – auch als deutsche Staatsbürger – für die Geste der Höflichkeit entschieden. Es war nicht unsere Absicht, mit diesem Bild ein politisches Statement abzugeben, geschweige denn Wahlkampf zu machen. Als deutsche Nationalspieler bekennen wir uns zu den Werten des DFB und sind uns unserer Verantwortung bewusst.